Barilla Organic pasta is certified USDA Organic and contains no GMO ingredients for pasta you can trust. 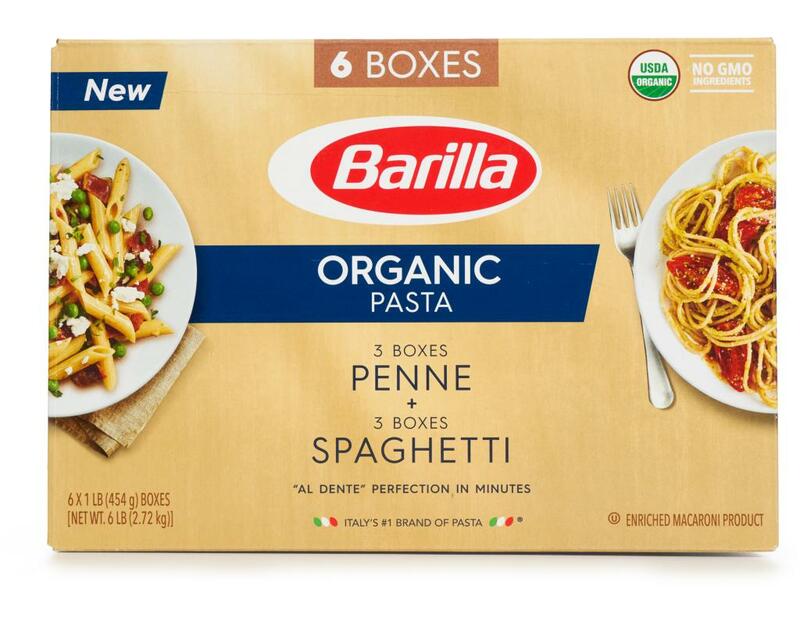 Barilla's newest line is made with the highest quality ingredients and cooks up perfectly "al dente" every single time for the delicious taste you expect from Italy's #1 brand of pasta. Penne: Penne pasta is a tube shape with ridges which helps it hold the sauce. Penne pasta can be served with a large variety of pasta sauces including baked casseroles. 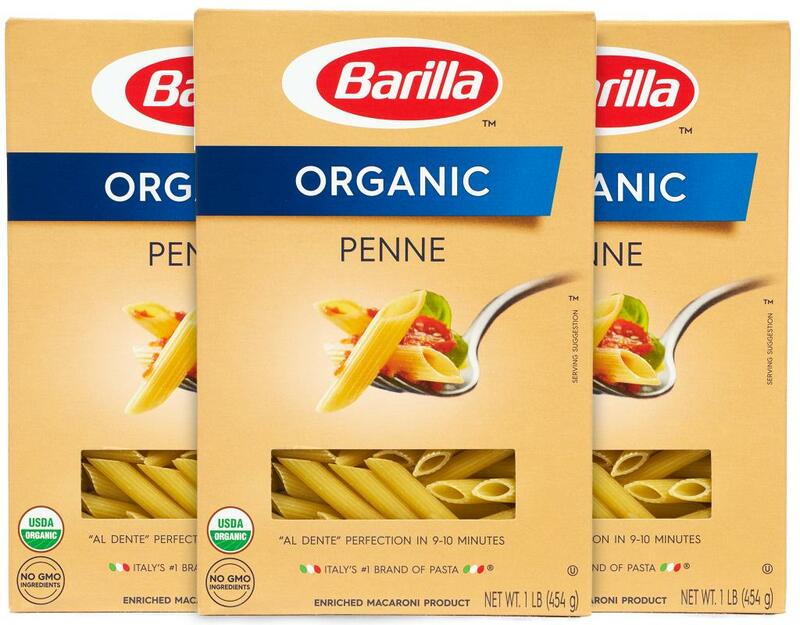 Penne is one of the most famous Italian pasta shapes and are loved across Italy. 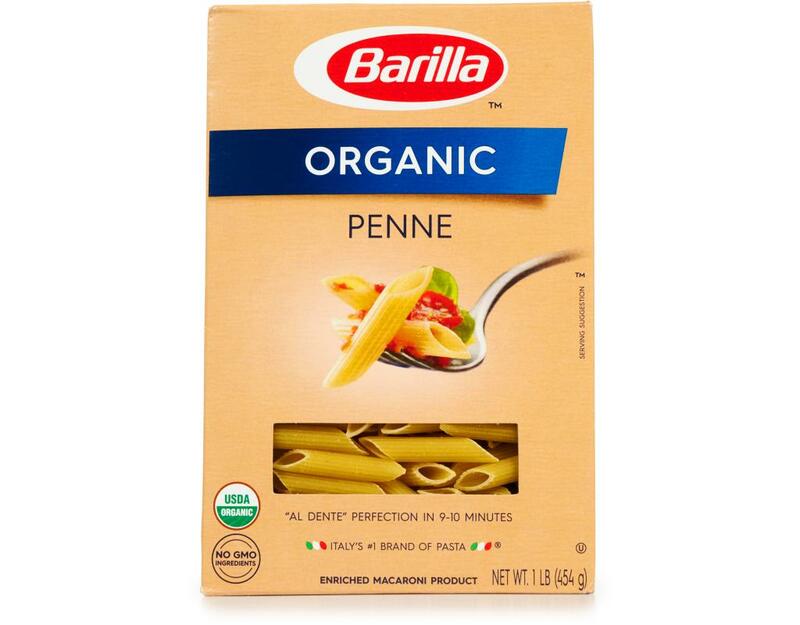 Penne, which means "pen" in Italian, gets its name from its shape. Their tube-shape with angled ends was inspired by the quill of an old style ink pen. 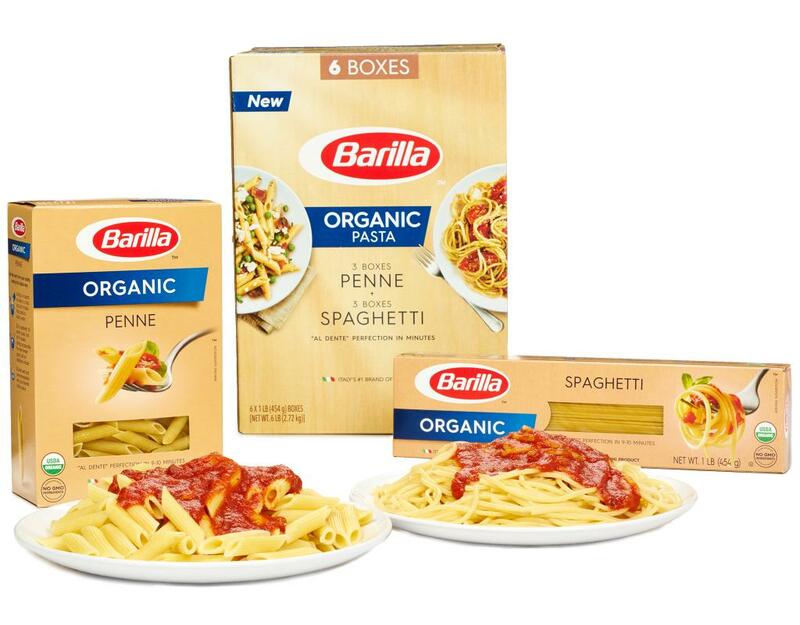 The small tube shape is great with many different sauces and baked dishes, making it one of the most popular pasta shapes. Ridged penne are designed for meat, vegetable, cheese and oil or butter-based sauces. They are also perfect for baked dishes made with sauce and cheese. 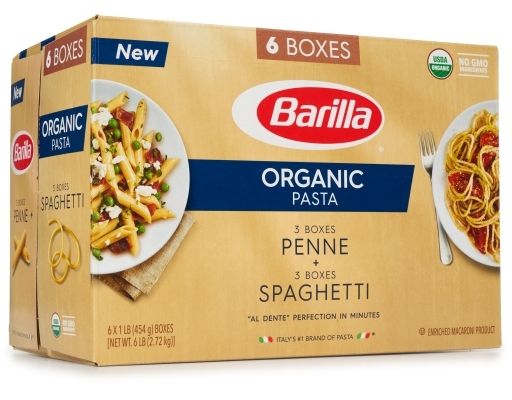 Try Penne with chunkier meat or vegetable-based sauces, refined dairy-based sauces, like a mushroom cream sauce, tomato sauces, or spicy sauces. Penne is also delicious in baked casserole dishes, known as "pasta al forno". 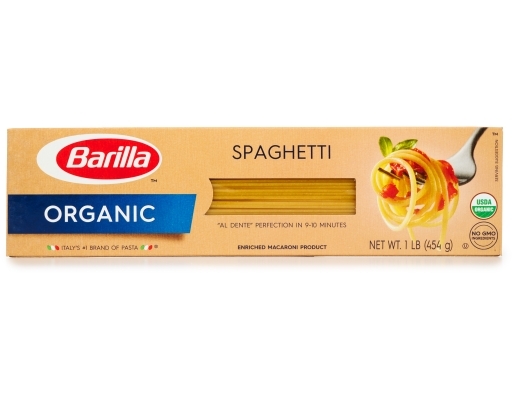 Spaghetti: This long shaped pasta goes great with just about any sauce or pasta dish. The most popular shape in Italy; the name comes from the Italian word spaghi, which means "lengths of cord." 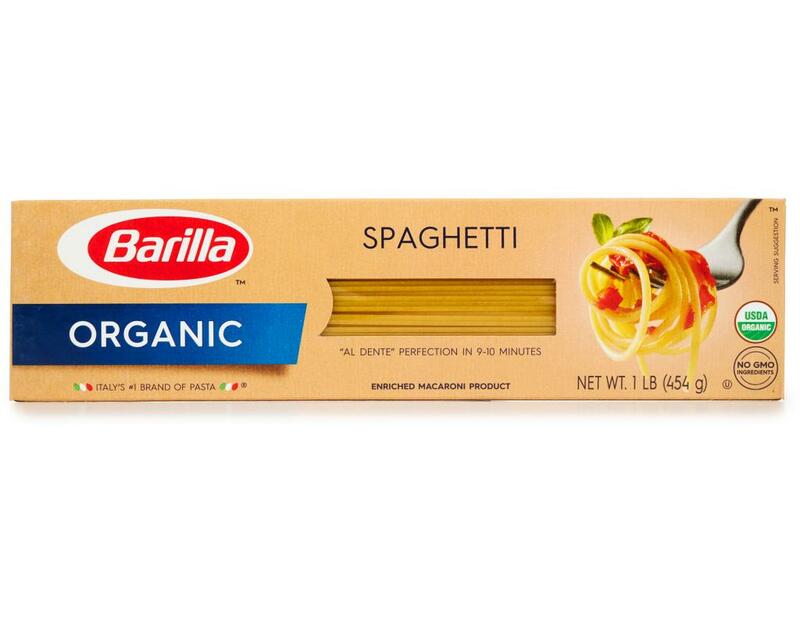 Spaghetti originates from the south of Italy and is commonly used with tomato sauces, fresh vegetables, or fish. 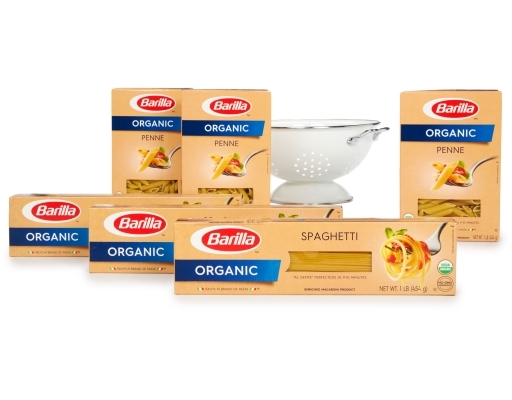 When cooked, Barilla Spaghetti is graceful, elegant, and maintains its authentic shape. Gently rolling Spaghetti with a fork gathers the pasta with the sauce, delivering a delicious taste sensation in every bite. 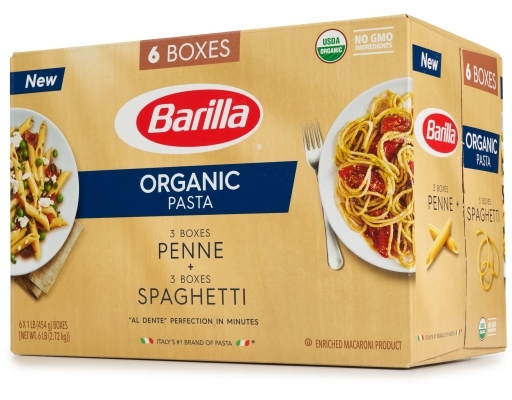 As everybody’s favorite, Spaghetti pairs well with just about any kind of sauce. 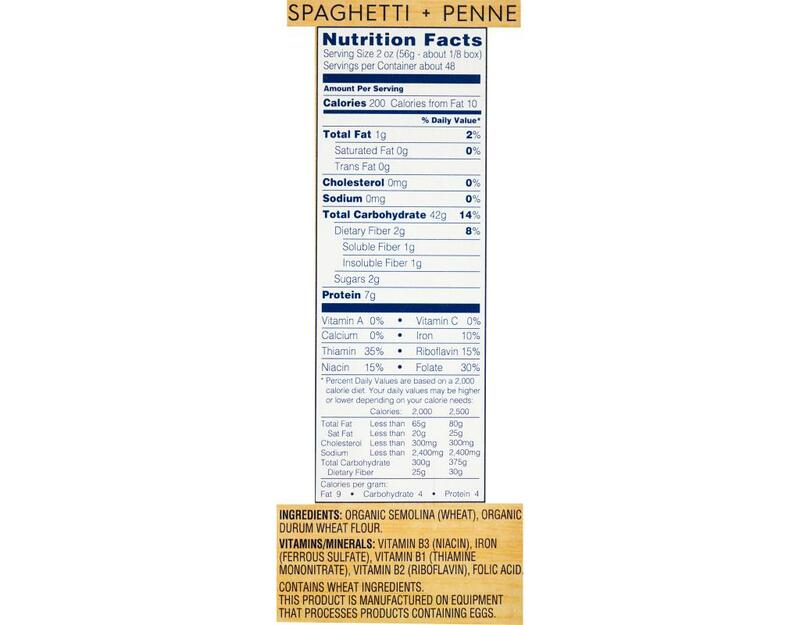 Try Spaghetti with simple tomato sauce, with or without meat or vegetables (medium-size chunks work well) or try it with fish-based sauces, oil-based sauces, or carbonara. 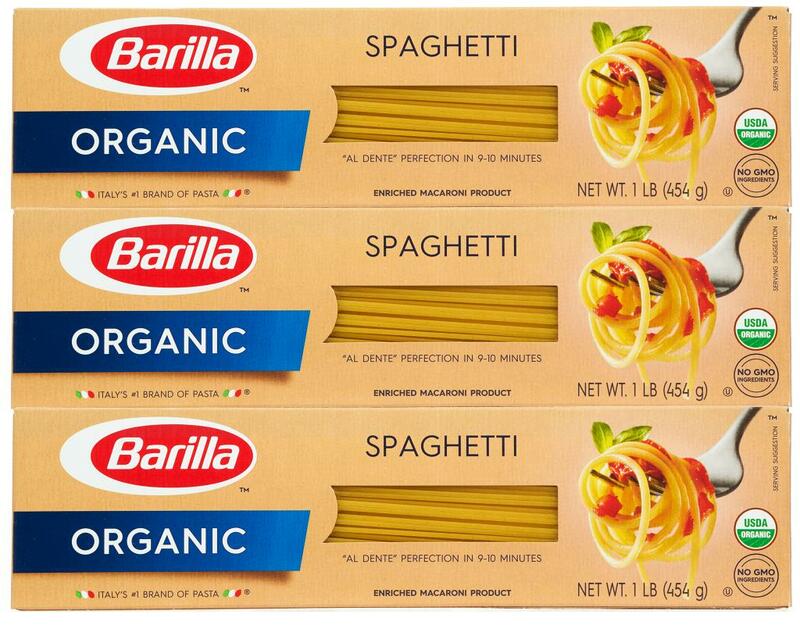 Organic Semolina (Wheat), Organic Durum Wheat Flour. This product is manufactured on equipment that processes products containing eggs.